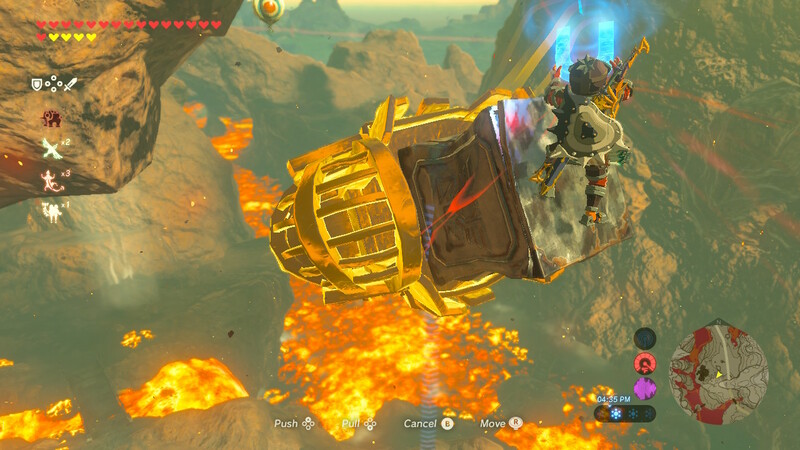 You'll believe Link can fly with this goofy, Do-It-Yourself contraption made with familiar parts in Legend of Zelda: Breath of the Wild and absolutely not intended by Nintendo. Clever fans have figured out how to combine to familiar metal parts, turning the Magnesis rune into a means of propulsion that's two parts tricky, one part rickety. If you can rodeo the flying machine to work (without tipping over and dropping Link into the wide blue yonder) then you'll have yourself a genuine flying machine. We'll explain all the steps you'll need to take in the guide below. This thing doesn't come with seat-belts, so it might take a load of practice to get right. Be warned! Naturally, you'll also need Magnesis to pick up and move metal objects in the environment. It's practically required and Link unlocks that power on the Great Plateau. 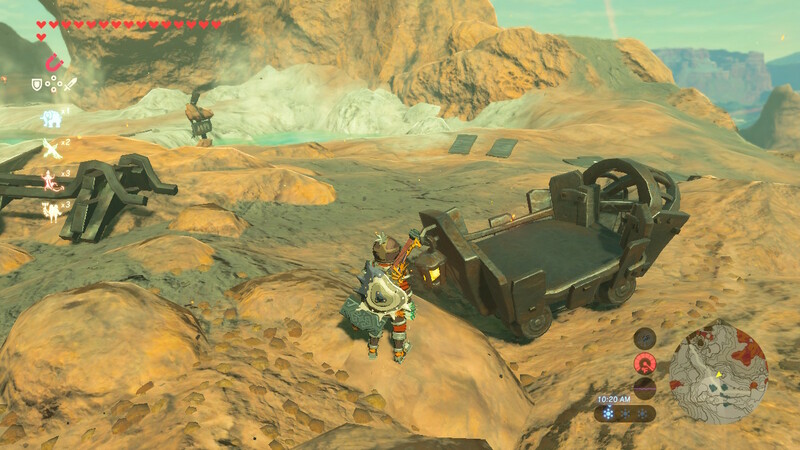 The trouble is finding minecarts -- they're (basically) only found on Death Mountain. Let's get to building a DIY flyer, step-by-step. 1. 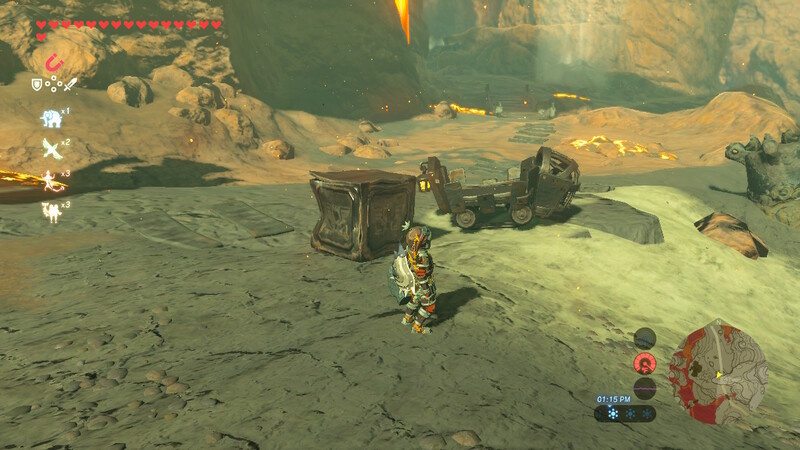 Go to Goron City to find a minecart. 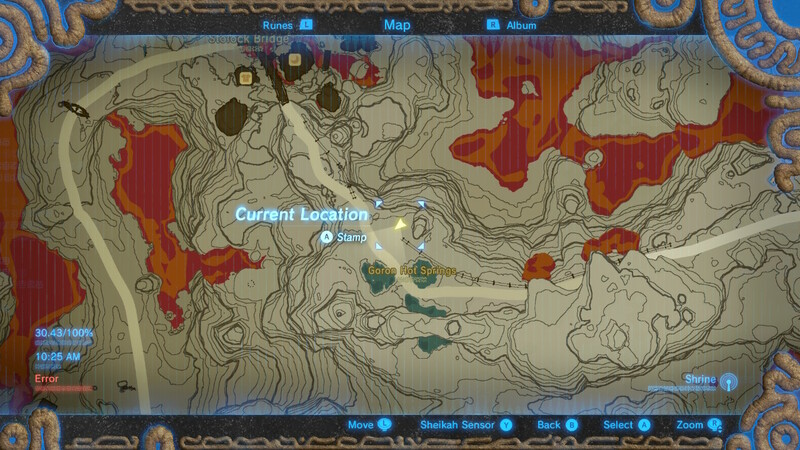 They can be found wherever tracks are located, but Link can also get an easy one over at the Goron Hot Springs, southeast of Goron City. 2. Take the cart to the nearby monster camp, where you'll get a metal crate. 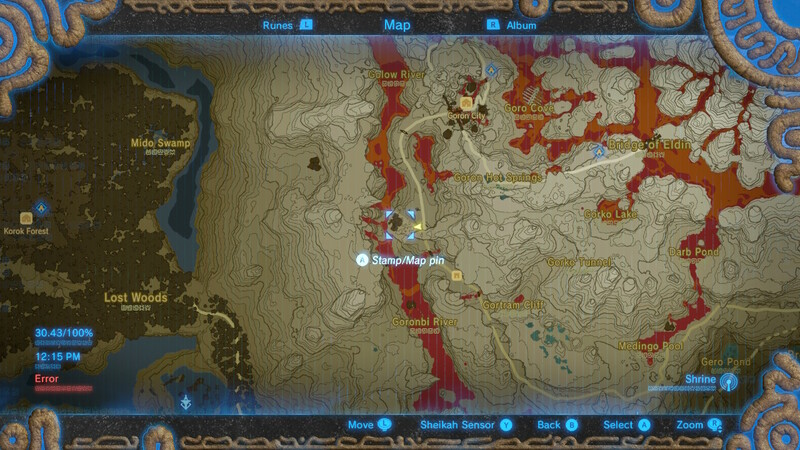 The camp is on the main road south of Goron City. You'll always see it as you travel to the city from the Southern Mine. 3. Grab one of the many, many metal crates from the camp. Use Magnesis to place the cart on a flat surface (as flat as you can) and then place the metal crate inside the cart. 4. Now, climb onto the metal cart and use Magnesis to lift the cart while Link stands on top of the metal crate. Move very gently -- this part takes practice. Adjust with the right-stick and keep Link in the center with the left-stick. This is pretty tricky, but we were able to get it to work! 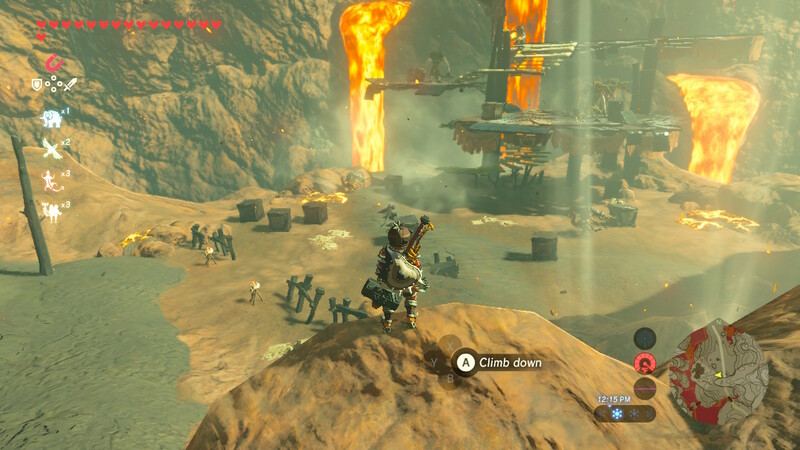 Try it yourself and report back in the comments -- or screw up and dunk Link in some lava. Either or.